I’m one of those people that love re-creating garments from vintage patterns. Are you? If you’re like me, one of the most anxiety inducing areas can be not having enough yarn to complete my project. So, before I start anything, I spend a little bit of time researching what modern day yarn I need to use, and then calculate the yarn requirements for that pattern. Just a note here, the members club is full of vintage patterns I’ve “re-mastered”. This means I’ve edited them to make them easier to read and understand, AND, I’ve calculated the yarn requirements for each, based on the recommended substitute yarn. If you like to knit vintage, then come join the club and get access to the remastered vintage patterns. Without further ado, here are the steps you need to follow to calculate how much yarn you need for your project. It can be a long process, but it’s well worth it in the end to make sure you have enough yarn of the same dye lot to achieve that gorgeous garment you have in mind! Make a note of the number of meters (or yards) that re in a full ball of yarn. This should be stated on the yarn label, but if it’s not, then run the yarn through a yarn counter or you can even measure the whole ball. Knit your tension swatch from a full ball and then count the number of meters that remain on the ball. Subtract the number of meters remaining from the number you began with in step 1. This identifies how many meters you have used in your swatch. 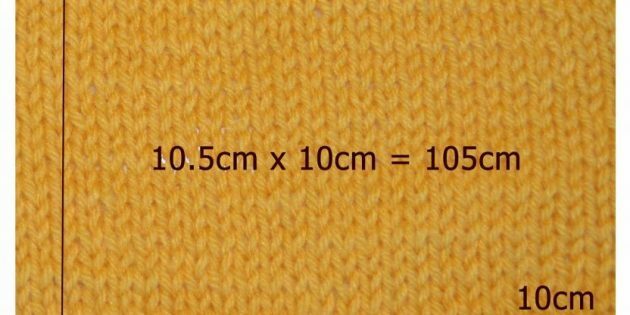 Next, calculate the area of the swatch (multiply height by width). Then, calculate the area of the projected garment. Often there is a diagram of the projected garment on the pattern that you can use to calculate the total area. Divide the area of the garment by the area of the swatch to determine the number of swatches that would be required to make up your garment. Finally, multiply the number of meters in the swatch by the number of swatches from point 6 and this will give you the total meters required for the garment – and thus the number of balls you require!